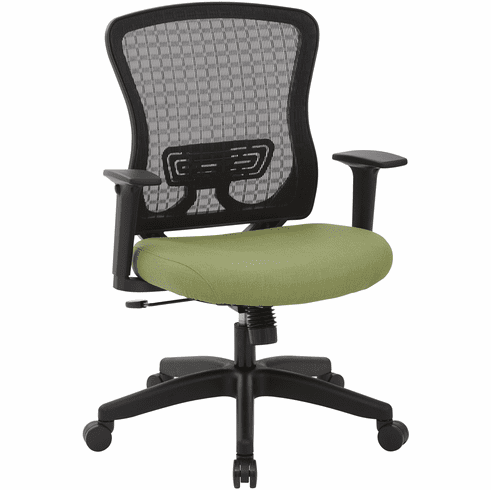 Work will seem more like play to anyone who is seated in the Space Seating® CHX Dark Mesh Back Managers Chair. People of any height can use the pneumatic height adjustment to make the chair the exact height they need. Padded arms and a mesh back contribute to the chair's luxurious feel. Seat Height Min: 18.5" - 22.75"